This is a fund raising venture run by BaDAG. The Club will operate for periods of 12 months from April to March. The minimum subscription for the 12 months is £12. 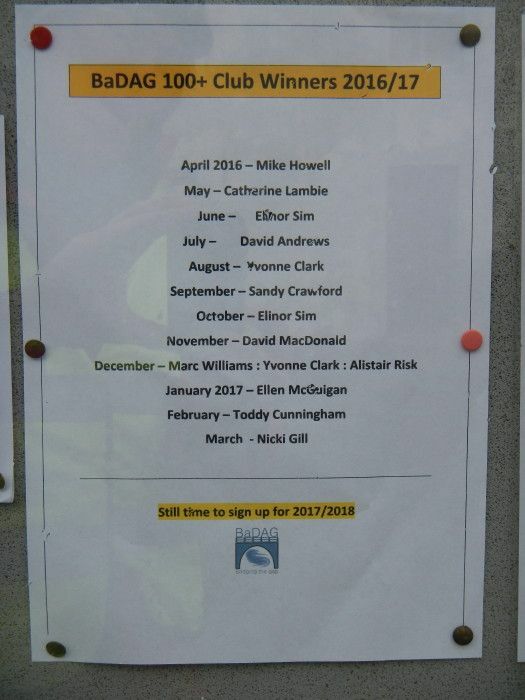 The prize draw will take place at BaDAG’s monthly meetings. 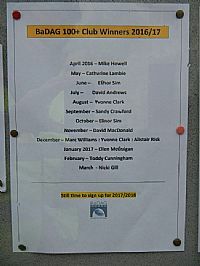 Prizes will be as follows: April to November and January to March - one prize of £20 per month. December Grand Draw - 1st prize £100; 2nd prize £50; 3rd prize £30. A list of prize winners for 2016-2017 can be found . BaDAG is now collecting 100+ subscriptions for the period beginning April 2017. A membership form can be found here.